2. The Cowboys were marvelous on 3rd downs. On offense they were 8 of 11 for 72%. That will win a lot of ballgames. And on defense, the Cowboys were outstanding. The Browns only converted three of nine attempts. 3. The Browns never got to run. You have to run to win in this league. The Cowboys defense only allowed 91 yards of rushing. Jamal Lewis was 13 for 62 yards. 4. Tony Romo spends time on football. All that stuff about him playing too much golf in the offseason and hanging out with Jessica Simpson too much is wrong. Romo threw for 327 yards. That is his 11th 300-yard game in three seasons. Troy Aikman had just 13 in his entire career. 5. Patrick Crayton is a legit number two receiver. Six catches 82 yards. That is big time. Go look around the NFL and you’ll see he’s really good when you start to stack up the numbers. 6. The Cowboys drafted really well. 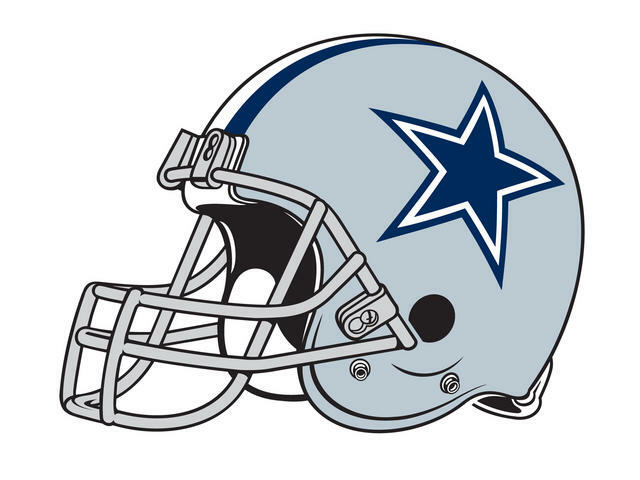 Rookies Orlando Scandrick, Felix Jones, and Tashard Choice played well. 7. The offensive line got the game ball. They simply knocked Cleveland around. They didn’t allow a sack and you never saw their blitzes work. 8. Matt McBriar had two punts. 9. 11 penalties. Way too many. The Cowboys have to focus better if they are going to win in the playoffs. The Browns first touchdown came off two Cowboys penalties on third downs. 10. The name Skip Peete will be one to remember this week. If Pro Bowl running back Marion Barber can’t play because of sore ribs, Peete, the Cowboys running backs coach, will have to make sure rookies Tashard Choice and Felix Jones can pick up the Eagles blitzes. This is a make-or-break season for Dallas Cowboys safety Roy Williams. He might be the only man who has started in the Pro Bowl who has so many questions about his role in his organization. Some people at Valley Ranch don’t trust him on the field anymore. Don’t be surprised if Williams is benched on third downs this fall. Teams love throwing to the tight end on third down to keep the chains moving. Did you see the Cowboys’ schedule? It is loaded with some tough tight ends. Williams has struggled in pass coverage the past two seasons. Badly. The Cowboys open in Cleveland. That means Williams will have to cover Pro Bowler Kellen Winslow. The Browns would be foolish not to try to isolate Winslow on him. Some of the best tight ends in the game are on the schedule this year: Chris Cooley (Redskins), Jeremy Shockey (Giants), Todd Heap (Ravens). Randy McMichael of the Rams has been a Pro Bowl alternate. Vernon Davis was the 49ers’ second-leading receiver. The Buccaneers’ tight end duo of Alex Smith and Jerramy Stevens combined for seven touchdown receptions. Heath Miller of the Steelers caught seven touchdown passes in ’07, and Donald Lee of the Packers snagged six. Philly’s L.J. Smith will get two shots at the Cowboys’ strong safety. Ben Utecht of the Bengals is no slouch. Seattle is the only team on the schedule that is weak at the tight end position. Williams knows he’s not the same player he was a few years ago. His ears work. He knows the critics are out there. He did himself no favors in the locker room last year by being suspended for a horse collar tackle on Eagles quarterback Donovan McNabb. Wade Phillips also chose not to start him for two games. He didn’t register a single sack in 2007. The fifth straight Pro Bowl trip to Hawaii came to him because he was the first alternate and was chosen to replace the late Sean Taylor on the NFC roster. Dump that No. 31 jersey, because he’s going back to the No. 38 he donned at Oklahoma. The old No. 38 was a feared man who made plays and made hard hits. When Cowboys training camp opens in Oxnard, Calif., lots of eyes will be on Williams to see if he can return to his once dominating form. His career as a Cowboy depends on it. Newy Scruggs is the sports director at NBC 5.